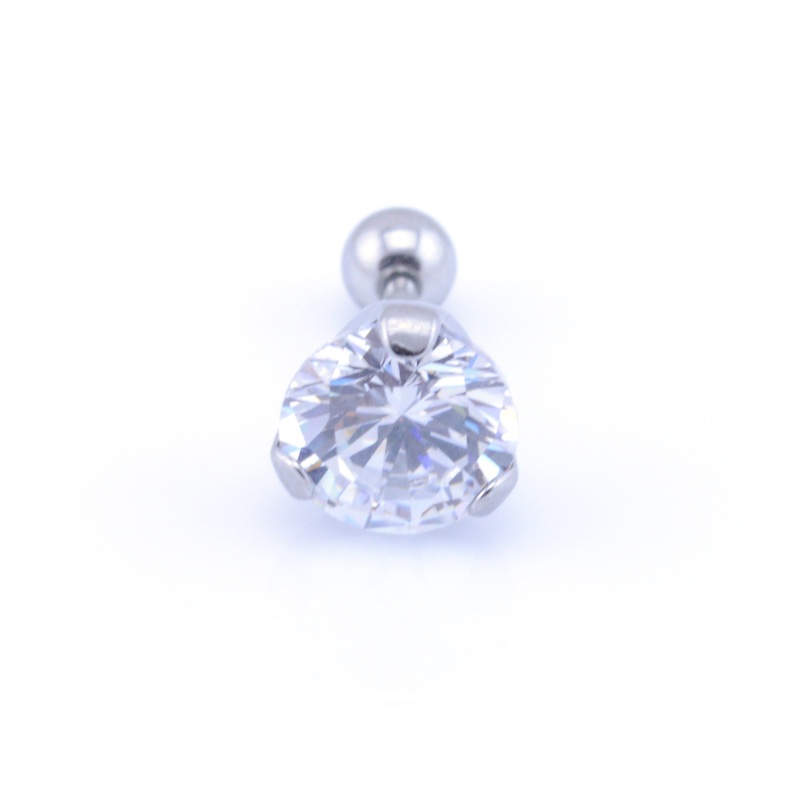 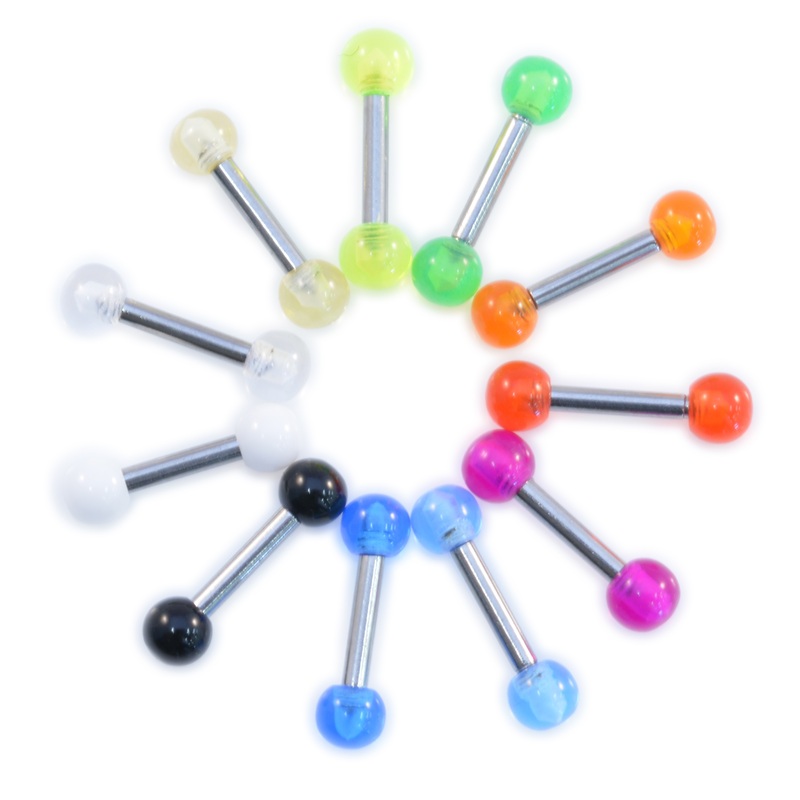 1.2mm (16ga) X 6mm steel barbell with prong set clear crystal gem. 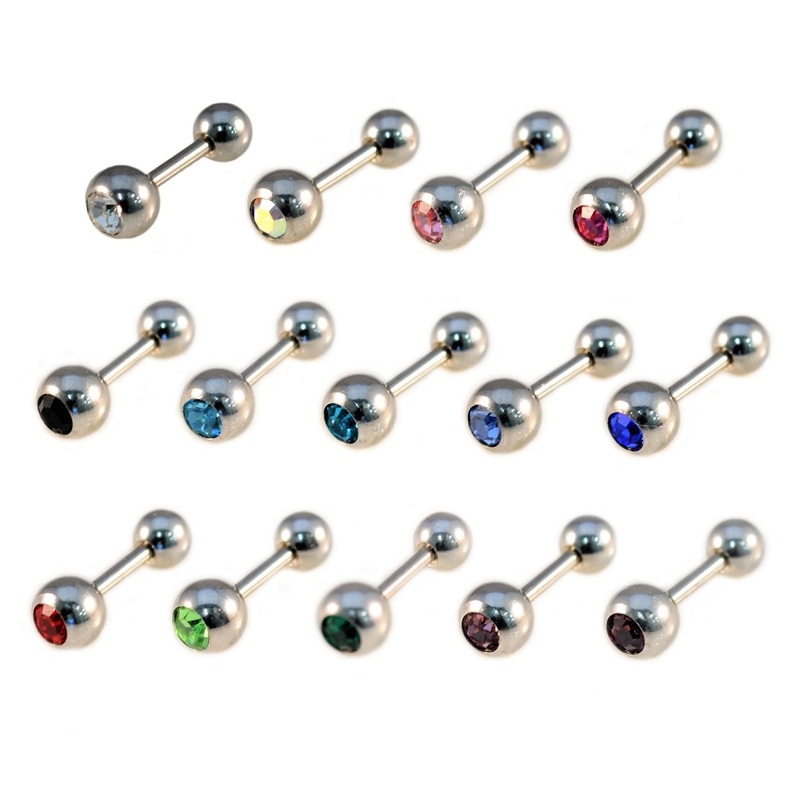 3 gem sizes available. 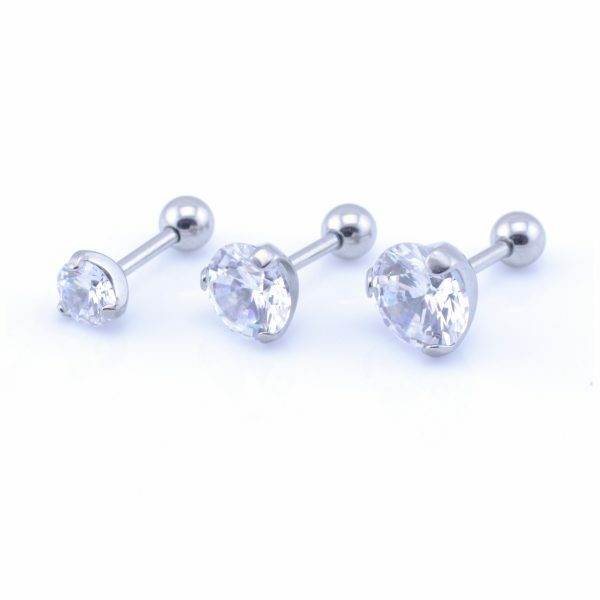 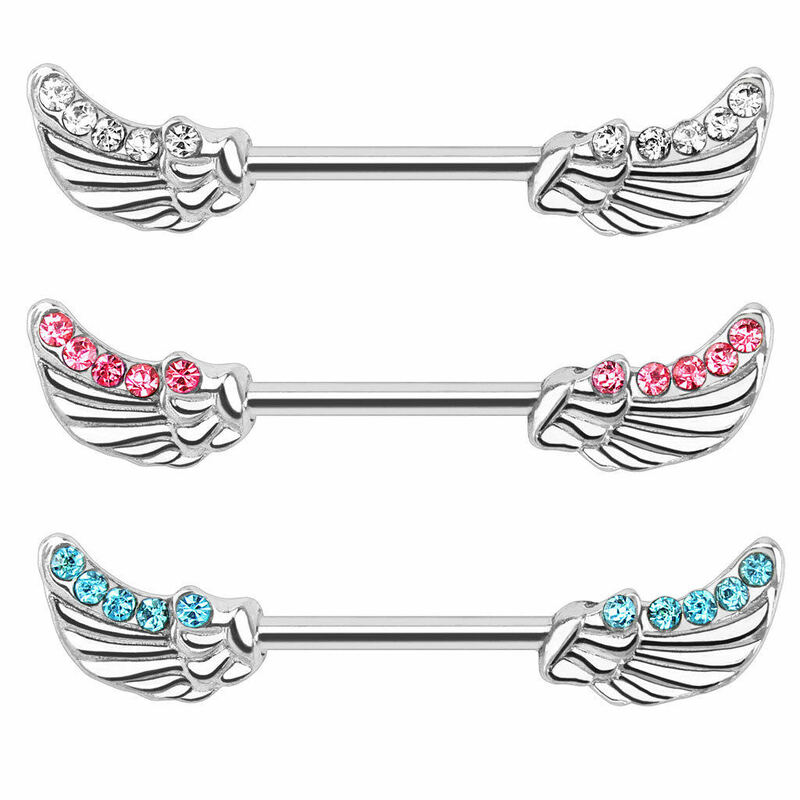 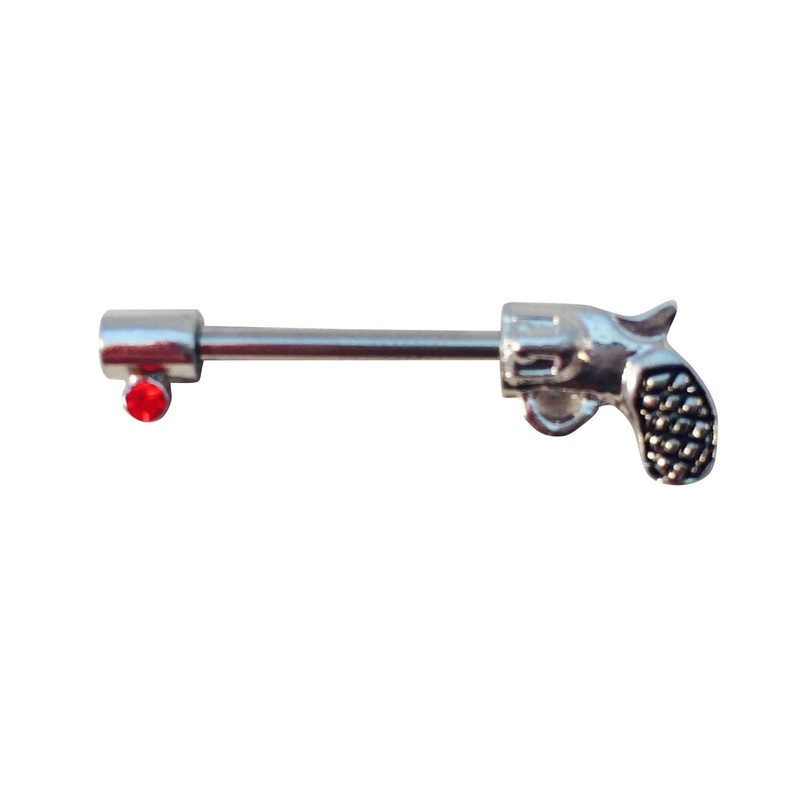 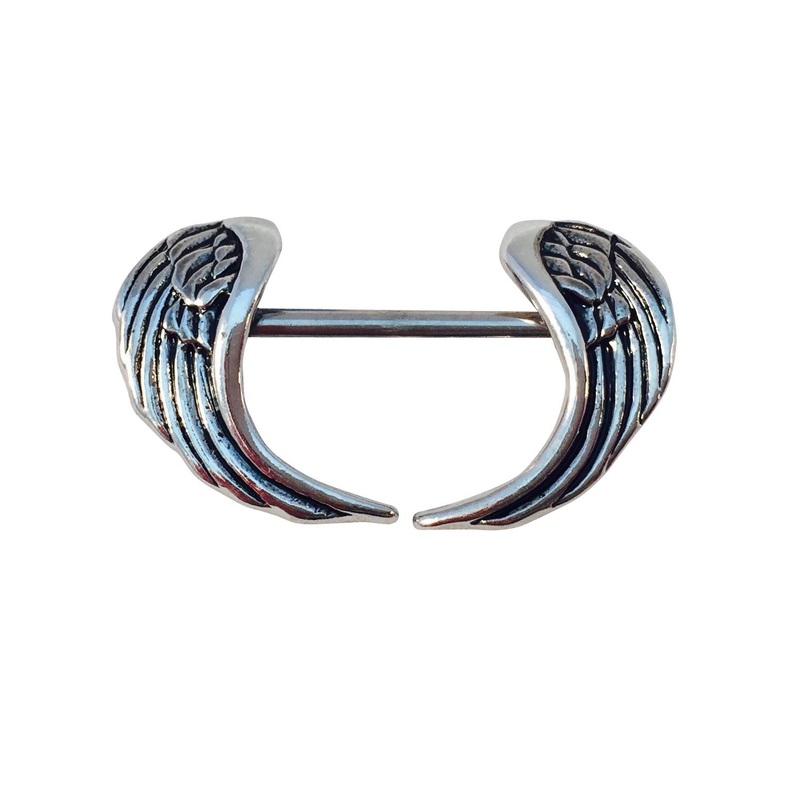 Suitable for tragus and other ear & cartilage piercings.